SAN FRANCISCO (AP) — Ivan Nova had little problem extending Pittsburgh’s streak of strong road starts. Giants: RHP Jeff Samardzija (shoulder inflammation) threw 40 pitches in a bullpen session and will face hitters next week. … 1B Brandon Belt (hyperextended right knee) ran the bases and took batting practice. … Catcher Nick Hundley is being evaluated for a concussion. Giants LHP Derek Holland (5-8, 3.88 ERA) makes his second start against Pittsburgh this season on Friday night. 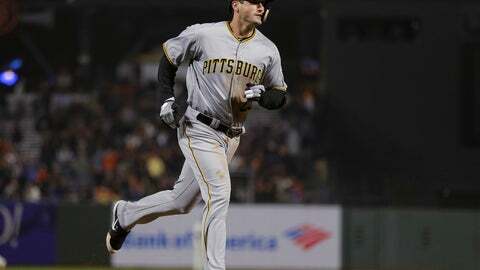 Holland pitched 6 1/3 scoreless innings to beat the Pirates on May 13. RHP Clay Holmes (1-1, 3.65) will be called up from Triple-A Indianapolis and will start for Pittsburgh. Hurdle indicated the move was made to give the rest of the rotation an extra day of rest.